Proceeds from the “Best of Beach Balls Challenge” will benefit the Champion Autism Network. Champion Autism Network Inc. is excited to announce our first Best of the Beach Balls Challenge. Angelo’s Steak & Pasta, Pink Pineapple Bakery, Chef Bill Twaler of the Myrtle Beach International Culinary Institute, Team Eatz Sports Catering, and other local restaurants, food trucks, catering companies, and home cooks will showcase their meatballs (or meat-substitute balls), and compete to win the “Best of the Beach Balls” designation to help raise money for Champion Autism Network, the 2018-2019 Myrtle Beach Area Chamber of Commerce’s Non-Profit of the Year. The event will be held at the Yaupon parking lot at Yaupon and Surfside Drives in Surfside Beach, 11:00 am to 3:00 pm, and will coincide with the Halloween Rod Run Car Show. Tasting tickets will be sold for $1 each. Judges will be the 2018 Night of Champions winners, Chef Kevin Levine of Scatori’s Pizza & Italian Restaurant, Chef Thomas Barre of The Breakwater, Honoree Chef Jamie Saunders of Johnny D’s Waffles & Bakery, and by our title sponsors, Sammy Truett of Moore and Associates Insurance of Surfside, and Phil Vassar, of Surfside Beach Oceanfront Hotel. Children can trunk-or-treat at the car show and participate in a scavenger hunt throughout the Beach Ball Challenge. There will also be additional activities. 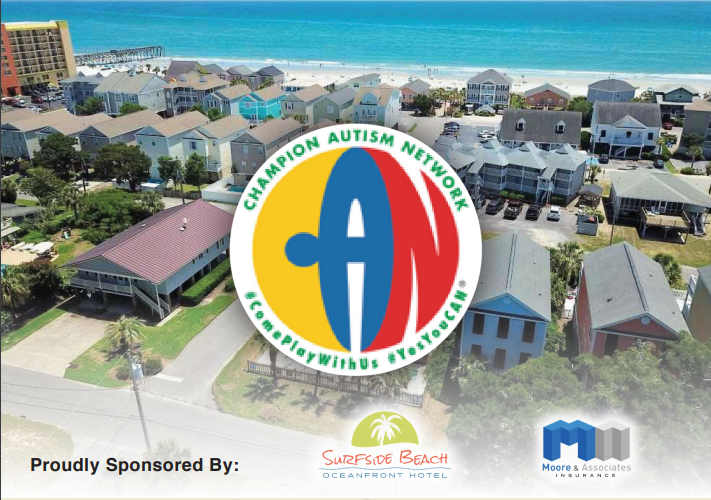 Champion Autism Network Inc. (CAN) is a non-profit organization based in Surfside Beach. Their mission is to spread autism awareness and education, as well as support families dealing with autism. Due to the efforts of CAN, Surfside Beach has become the country’s first autism-friendly vacation destination, with lodging, resorts, restaurants, and amusement facilities trained to handle the challenges people with autism and their families face. To learn more, volunteer, participate, or sponsor, please go to www.championautismnetwork.com or follow us on Champion Autism Network, Inc. on Facebook. Please #ComePlayWithUs and help to determine who has the Best of the Beach Balls. Monies raised are used to host sensory friendly movies, as well as support other autism-friendly activities for locals and tourists.